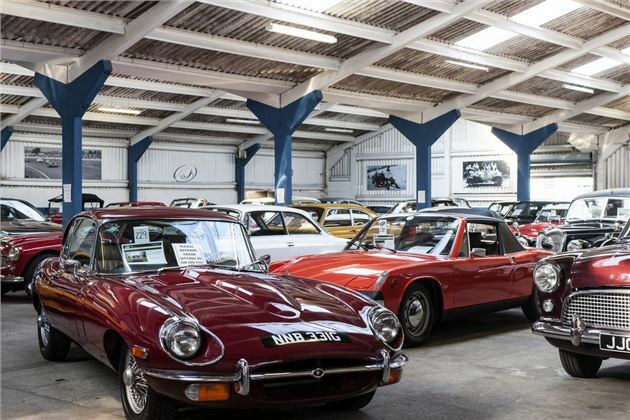 Starting out as a general car auction business in 1995, Anglia Car Auctions held its first dedicated classic sale in 2005, initially focussing on the budget sector of the market with a no frills, low buyer’s premium set-up. However, Anglia’s classic car auctions have expanded to include higher-value cars alongside starter classics and projects. Why should I sell my classic at a Anglia Car Auctions? Does Anglia Car Auctions offer an online valuation? Before you can enter a car into the sale, ACA needs to view the car either in person or by email. We need information such as service history or other documents, has it been in long-term single/family ownership, does it have its original buff log and or a current V5, is it MoT'd, a description of its general condition both of the exterior and interior, is it running, does it have an original handbook, etc., and what sort of price you are hoping to achieve. How many sales does Anglia Car Auctionsd have a year? ACA currently has five classic car sales scheduled for this year. They are held at its site in King's Lynn and we can heartily recommend the bacon butties. How much does it cost to enter a car in a Anglia Car Auctions? For cars, entry costs £75 (+vat). This is payable on agreed entry and the price includes valet. Remember, ACA is one of the few auction houses that drives cars in and out of the sale room, unless the car is a non-runner. Is there a seller's fee at Anglia Car Auctions? The seller's commission is 5% for classic cars and a minimum of £100 will be changed. Expect to pay VAT on this. Does Anglia Car Auctions store and prepare vehicles for sale? The entry price of the auction includes a valet. If you need them to store your car or help fettle it, you'll need to contact them directly. How long will Anglia Car Auctions store a car after the auction? ACA tries to offer buyers and sellers two weeks' grace after the sale. If vehicles are not removed after this period, there is a charge. Following a successful sale of your vehicle, you will receive cheque payment by the second Thursday. This is nine working days after the sale and assuming full settlement has been made by the buyer. Bank payments can be arranged and will be made by by the third Tuesday, which is twelve working days after the sale. Are there any hidden charges at Anglia Car Auctions? As soon as it has been agreed that your car will entered into one of our sales, you will need to complete an entry form. This forms the contract between Anglia Car Auctions and you as the Vendor. Withdrawal of the entry prior to the sale is subject to fees. The fees are charged at 11% (+vat) of the reserve price which covers the buyer's premium at 6% and selling commission of 5% plus the entry fee of £75 (+vat). In the case of vehicles offered with no reserve, fees will be calculated based on the auctioneer's expected achievable result. What cars for sale are in the next Anglia Car Auctions Sale? Where can I sell a collection of classic cars? I am writing for your advice as I don't know where to turn, or how to start. My father passed away leaving quite a few old cars in a shed. They include two SAAB 96s, one Morris Minor Traveller, one Austin Half Ton Van, one Austin A55 Light Van, two Volvo 121 Estates, one Volvo 145 Estate, one Volvo 1800E Coupe and one Ford Anglia Van. They are not in good condition. Please could you advise me on the best course of action for me to take to achieve the maximum value and potential for these cars? I think two of the number plates may also be of value too. Your best bet is a classic car auction company: www.historics.co.uk ; www.barons-auctions.com ; www.classic-auctions.com. The number plates are of no value if the cars are not taxed and MoTd - they cannot be transferred.